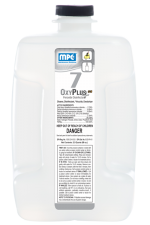 An ideal companion product for use with any high speed maintenance program. 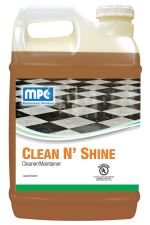 Regular use of this product keeps floors looking great day after day. 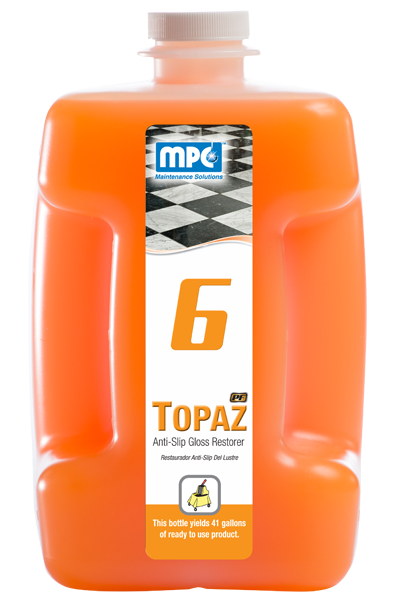 Special proprietary ingredients bond to the surface of the floor to create an anti-slip surface, making it ideally suited for nursing homes, supermarkets, hospitals, schools and other public areas. 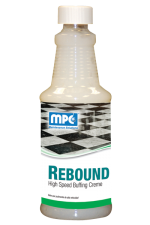 This product effectively cleans the ﬂoor and restores floor ﬁnish. 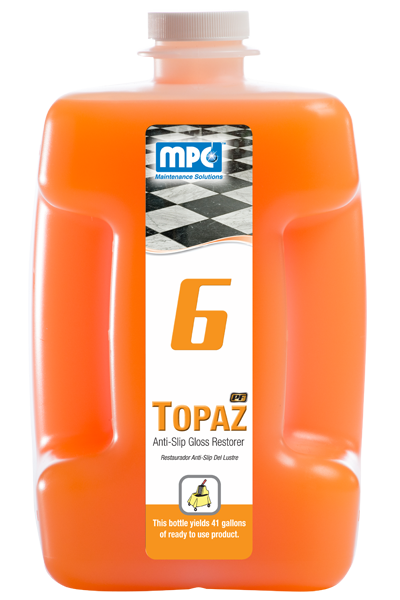 Highly concentrated for economical use dilutions, it can be mopped on or used through an automatic scrubber. 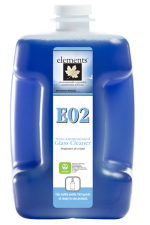 Once the product dries to a haze, use a high speed burnisher to “pop” the gloss to a brilliant shine. This product must be diluted before use. See your supervisor or technical sales representative for instructions on dispenser use. 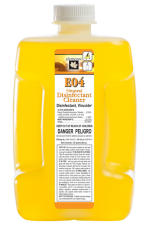 Dispense diluted product into a mop bucket or auto-scrubber. Dust mop all flooring and remove gum and adhesives. Apply a thin, even coat on the surface. Do not pickup solution. Allow to dry thoroughly. Burnish all flooring to restore the floor to the ultimate “wet look” shine with a burnishing pad. NOTE: Don’t allow restorer solution to remain in the auto-scrubber tank. Drain and rinse.